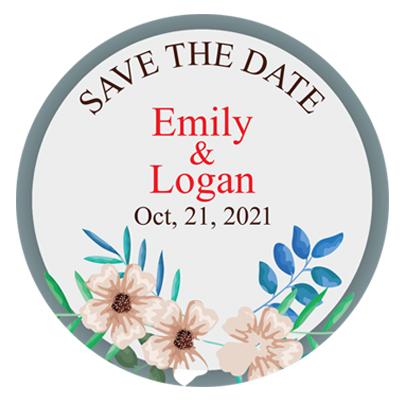 Custom Magnets 3 inch Save the Date Personalized Magnets – A great way to make announcements sound special! Yes, absolutely 3 inch custom save the date magnets can be utilized to announce the big day with authentic charm. Your guests will never miss out the event due to its specialized charm. You can choose to customize this circular shaped announcement custom magnet for prices as low as $0.13 with your names and venue information. The custom magnets can be printed in any color of your choice and we can ship it free to your doorstep. Hurry up! This offer is valid for a limited time.